Pyramid Electronic Document Time Recorder - The 3500 Time Clock has been designed for all types of businesses and industries to help better manage your office. This time clock automatically prints year, date, time and 14 very useful selectable messages & has no employee limit. It features 2-minute setup and has an auto-punch feature, for easy single-hand operation. 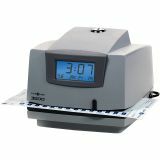 This multi-purpose unit is ideal for managing employee payroll/ time & attendance, along with stamping special messages on documents such as incoming and outgoing mail. 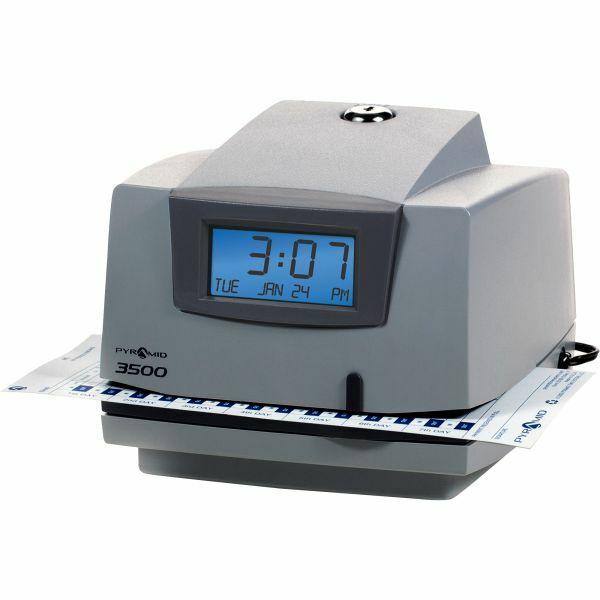 The 3500 has been engineered to work with standard time cards or Pyramid branded time cards. In case of power failure, the unit is equipped with an internal battery that provides 30-days of memory backup.